South Dakota’s counties and cities are making progress in the overwhelming task of repairing and replacing hundreds of deteriorating bridges. But the competition for state grant money that helps with costs is increasingly aggressive, in some cases pitting counties with more money against those who have little in the application process. In the three years since state lawmakers approved the Bridge Improvement Grant, or BIG, program, the program has given counties and cities $27 million for engineering, preservation and replacement projects. The $9 million allocated each of those years increases to $15 million for the 2019 grants with applications due starting this month. So far, the grants have helped pay for 20 new bridges, 40 repaired bridges and preliminary engineering and other work on 95 other projects. The money has been spent in 41 of the state’s 66 counties, including most counties in the eastern part of the state. But with more than 1,000 bridges qualifying for replacement and repair, the state program has just started to have an effect. “This is a very small step in the direction of trying to address those needs. Unfortunately, the need is far, far greater than we have funding for,” said Doug Kinniburgh, engineering supervisor for local government assistance programs with the state Department of Transportation. In order to qualify for grants, counties must have a wheel tax and a five-year highway and bridge improvement plan. The grants are allocated based on a points system that weighs the condition of the bridges, whether the county is charging the maximum wheel tax and if the structures are heavily traveled, serving multiple locations, for example. The more counties are willing to pay toward the project, the higher their score will be — sometimes a tough expense for smaller counties. The points system doesn’t take into account how much money a county has on hand nor how many bridges it has that need work. In 2015, the year that the program was approved, one in five of South Dakota bridges were falling apart and in need of repair, according to the American Road and Transportation Builders Association, which released numbers for each state that year. In South Dakota, 1,174 bridges out of 5,872 statewide were considered structurally deficient, indicating they were in poor or worsening condition but not necessarily unsafe. Earlier this year, 19 percent of the state’s bridges were still listed in that category, according to the same agency’s updated report. Depending on geography and age of the bridges, some counties have more structures to submit for grant consideration. In eastern South Dakota, where the Big Sioux River meanders near the state’s border, counties typically have a bridge every mile, and many have outlived their life expectancies. 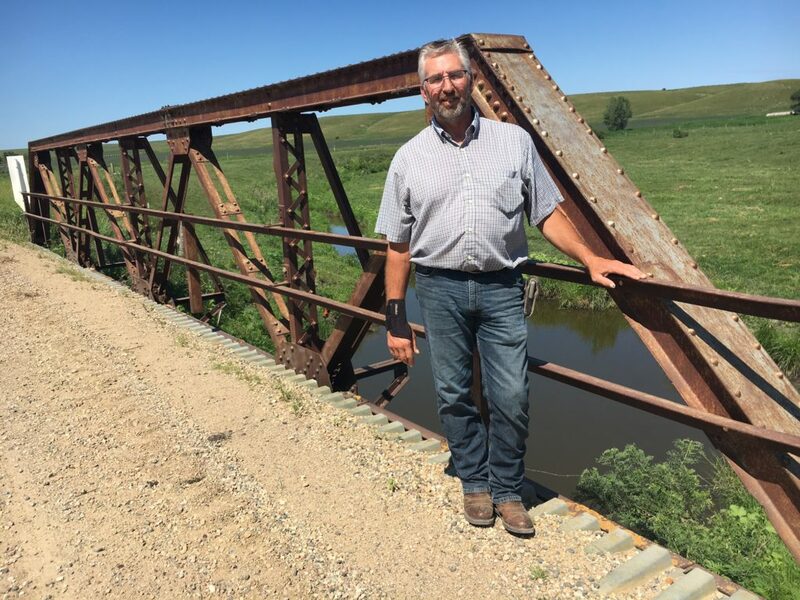 In Grant County in northeastern South Dakota, Highway Superintendent Kerwin Schultz has a list of 169 inspected bridges, meaning they are at least 20 feet in length. Another 40 aren’t inspected because they are smaller. His county ranks near the top for overall number of bridges, but has had its own crews maintain and replace what they can. “Of the 66 counties, we’re the only county in the state with an actual bridge crew,” he said. Since 1997, Grant County has replaced about 103 structures. 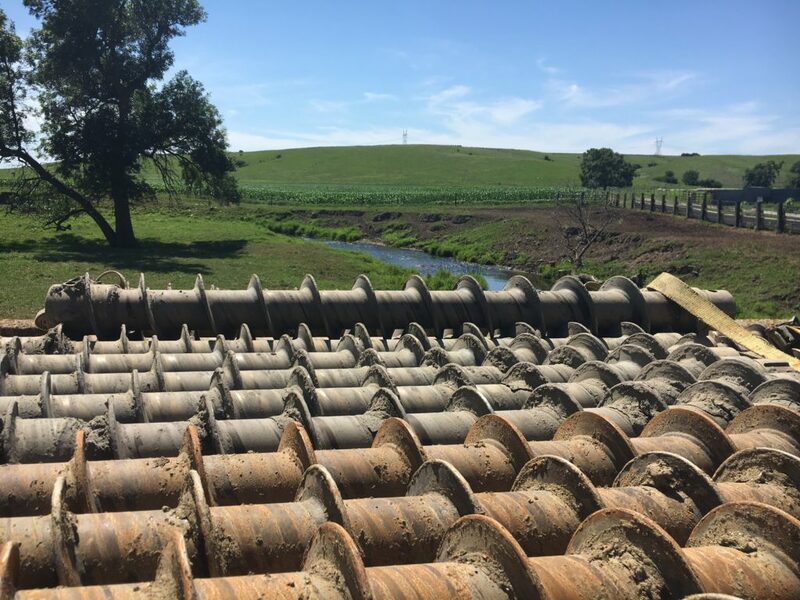 That county crew can’t take on the bigger bridges or those that span fast-moving water however, and Grant County has received some help – $1.33 million – from the BIG program. “Grant County certainly is one of our counties that has a very, very high number of structures on their system. The needs are certainly higher,” Kinniburgh said. But getting help under the BIG program is not easy. Schultz hopes to compete for more grant money to help his county, but to do so, Grant County likely will have to pay a higher percentage of the costs itself, essentially upping its share to score higher on the points-based awards system, he said. Having plans ready means the county would essentially spend more in the bid process to get that piece done ahead of time or it could put more than the minimum 20 percent matching money toward the total cost of a project for a better shot at the grant. In Deuel County, spending more to get the grants doesn’t sit well with Jamie Hintz, highway superintendent. He has 41 bridges to fix and hopes to get two qualified for grants in the next round. Both are on farm-to-market roads along school bus and mail routes. One was built in 1906, an historic pony truss structure that spans a creek through the picturesque Hidewood Valley east of Interstate 29. The other is just a half mile away, a proximity that Hintz hopes helps keep the price down because both could be done by one contractor. He knows the county likely will need to pay more than 20 percent of the projects or it won’t make the cut. At 35 percent, Deuel County would have to come up with $130,000 for its share. “The only way we’re able to do anything is to offer more from our percentage,” Hintz said. *The number of cities and counties counts each time a city or county gets a grant and some have received multiple. Forty-one of the state’s 66 counties have received grants. Nearby Brookings County has already figured out that competitive edge, winning $3.5 million in grants.The county tops the state in the amount of money it has received and is close to tapping out its eligibility for a maximum of $4 million in three years, the state’s Kinniburgh said. Brookings County is followed by Davison County with $2.78 million in grants and Hughes with $2.47 million. Brookings County won three grants to replace its worst bridges that had load limit restrictions on them. Bids will go out for those projects soon — two on Highway 77 south of Brookings and one on the Moody County line. It’s an expensive process. To get the money, Brookings County put more of its own money toward the bill, pledging a 50-50 split with the state instead of the minimum 80-20. While that wasn’t painless because of the amount the county had to pitch in, it has been worth it, Birk said. For a $1.4 million grant, the county offered a 20 percent match. For the other two, it offered to pay half, adding up to matching money of $1.27 million, he said. Some are critical of the counties that increase the percent of a project they will pay in an attempt to get higher points and outbid other counties. Bird isn’t bothered by the criticism. The county has a long list of other projects with big needs, too, and plans to continue applying for help. Moody County also earned a BIG grant of $1.4 million with engineering and architectural fees included for a $2.1 million project. The work involved a bridge, three miles east of Interstate 29 at the Ward exit that failed in May of 2016, closing it to all traffic. Work is underway this summer and expected to be completed in early November, meaning local farmers will have spent at least three harvests without direct routes to haul their crops. The county agreed to pay 40 percent of the cost, a sizable amount in a county budget that approaches $6 million annually. The bridge is one of several in that county that are being replaced. But if Moody County can qualify for some BIG money for the large projects across the Big Sioux River, it will be able to handle the smaller projects itself, said Rick Veldkamp, a Moody County commissioner. “We have several bridges across the river which are all in that $2 million range. By ourselves, we can’t handle that. If we didn’t have the BIG program to help us with those big ticket items, we couldn’t catch up,” he said. 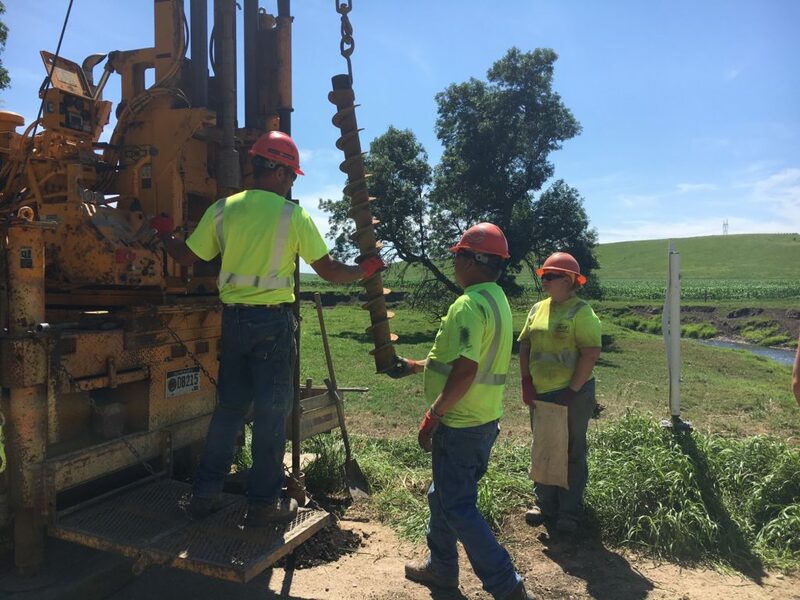 Minnehaha County, the most populous and the one with the most bridges has received very little grant money under the program, but is making progress on its bridge repairs by using fees it collects. In 2017, it was awarded a grant for $42,600 for engineering fees for a bridge near Valley Springs, the only money it has received through BIG. With more population, Minnehaha County is the only county in the state that uses its user fees and license plate fees for repairs without needing to dip into its general fund. But is also has more traffic on its roads and bridges, something it takes in stride for now. “From our point of view, those counties that need the money, need it. We have a little bit of money flowing through our program,” Shannon Schultz said. Eight South Dakota counties can’t participate in BIG because they haven’t enacted a wheel tax. Pennington County, with 134 structures, has tried to implement one, but voters haven’t agreed. The other seven counties without one are Buffalo, Hand, Harding, Hyde, Jones, McPherson and Oglala Lakota. Cities can participate, even though they don’t have the ability to implement a wheel tax, and Rapid City has been awarded money under BIG while the county cannot apply. More than two-thirds of the counties have received some money under BIG, Kinniburgh said, in defense of the application process. He doesn’t anticipate any modifications based on size and geography when it comes to how counties receive grants. But the program will continue to be reviewed each year. The $4 million limit over three years for any one county also helps disperse the money to more places, he said. So far, the points system under the application process is working, he said. “We did not want someone to come in there and dominate the program,” Kinniburgh said. A look at a state map confirms that BIG money is being spent all over the state, including in smaller populated counties such as Marshall, Day and Butte and cities, including Aberdeen and Parkston. Back in sparsely-populated Deuel County, the solution to the failing bridges there and across the state is money. Hintz with the county highway department worries that the more rural, sparsely traveled areas won’t be able to keep up, he said. “It’s only obvious the way it was set up that traffic counts were going to be a big part of that. I understand that. But then what are you going to do back in the ag areas?” he asked. Most of the counties with smaller populations don’t have the kind of money that is needed to get ahead of the problem. For now, the county does the best it can to switch out old bridges with cement box culverts or other types of culverts if the span is less than 20 feet, essentially a less expensive way to keep the structure in place. Several bridges, including the two at the top of his priority list to fix, are weight restricted. Brenda Wade Schmidt, Baltic, S.D., reported this story for South Dakota News Watch, the nation’s latest non-profit news organization. A native South Dakotan, she has worked for small weekly newspapers and the largest daily newspaper in the state during her 34 year career in journalism. 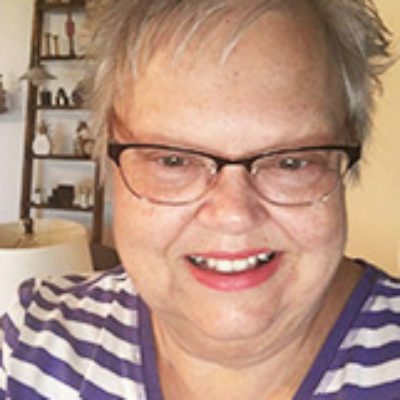 She also was an editor at a newspaper in Minnesota, worked at a national trade magazine in Indianapolis and has written freelance stories for national newspapers and magazines.